The Zombie's are coming! 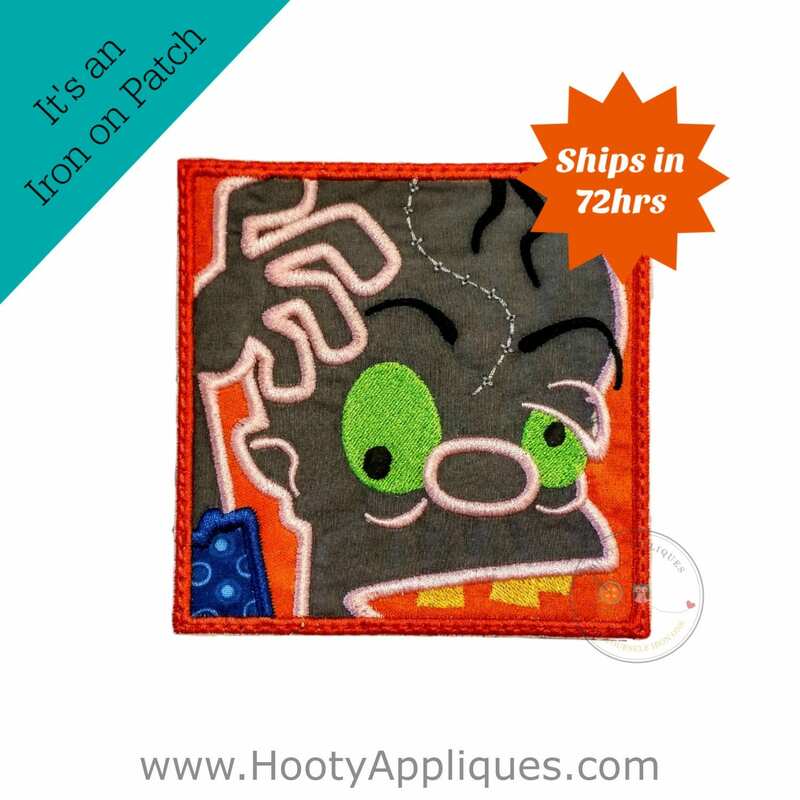 Bright orange, gray and peach zombie undead Halloween iron on applique. •	Ships 72hrs.We are liquidating our current stock, therefore, we are no longer offering color/fabric changes or personalization. 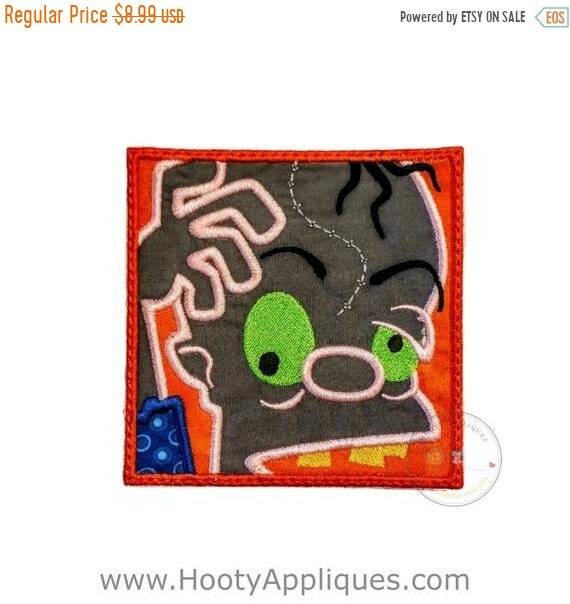 Patch will come as pictured.